Anywhere, especially at Gay Restaurants and Cafes they are fantastic. Several choices for a very reasonable price. 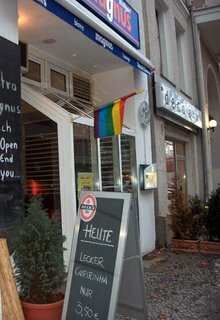 I suggest you try Café Berio or Magnus at Motzstrasse.